University Park, Illinois, November 12, 2015 — Federal Signal introduces the Global Series Signaling Platform. This market anticipated product line is designed to meet requirements in hazardous atmospheres. Meeting stringent certifications, Global Series is an innovative Next Generation product line of non-metallic signals that is modular, aesthetically appealing, and lightweight in design. No matter where your next project is located, Global Series has the certification to cover it. The Global Series Signaling Platform is Zone 1, 21 Rated, IECEx, ATEX, Ex d IIC and Ex de IIC. This allows companies with global operations to standardize on its safety and signaling needs. 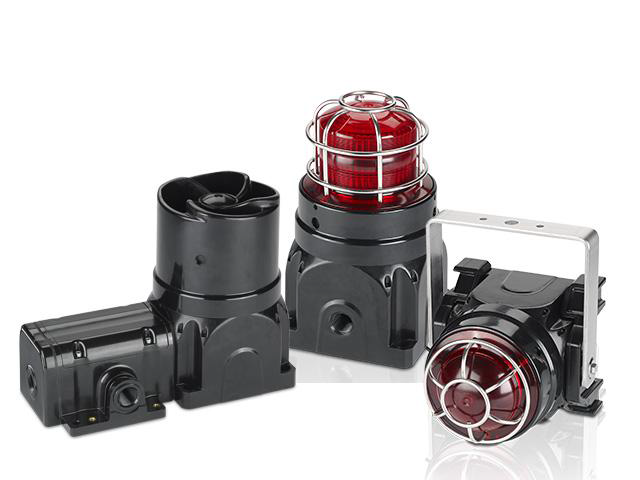 The G-Series can streamline the design and purchasing processes related to safety and signaling, and it allows for standardization of training, maintenance, and spare parts across an enterprise.